Have you all heard of Paperless Post?? 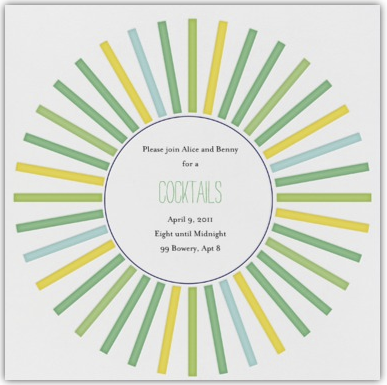 It's a gem of a site that offers gorgeous online invitations and cards. We happened upon it a few weeks ago and want to have a get-together just to try it out! Now, don't get us wrong, nothing is better than sending or receiving paper correspondence. 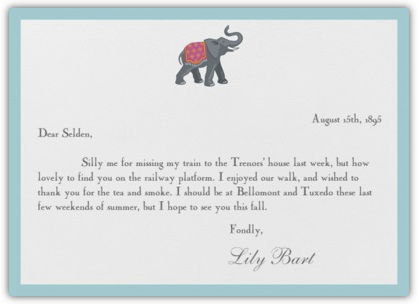 However, if you are anything like us, spontaneous soirees happen and what better way to invite your guests than with gorgeous invites such as these. You can even add a coordinating envelope liner. We die. Just take a look for yourself! 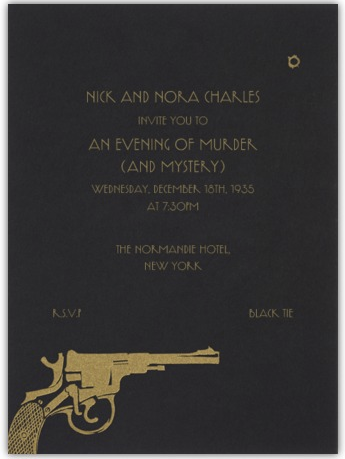 These would have been just the ticket for our murder mystery party last year!! 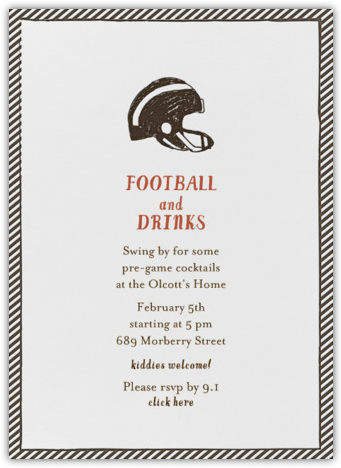 For those of you hosting a Superbowl soiree next weekend... how presh are these?! 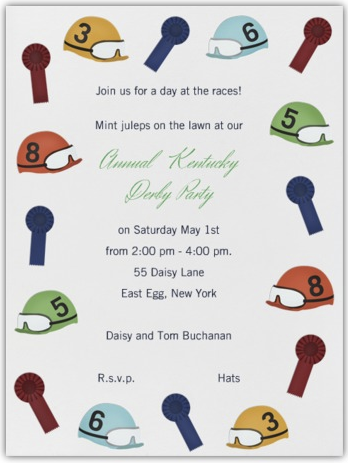 Kentucky Derby and mint juleps on the lawn? Yes, please! They even have birthday and thank you cards! So darlings, what do you think? Are you smitten with Paperless post?! Or can nothing take the place of the real thing? Do tell!! We love to hear your thoughts! Happy Thursday! I adore Paperless Post! Of course nothing can replace receiving an actual invite in the mail, but for short notice invites and the like, these are perfection! 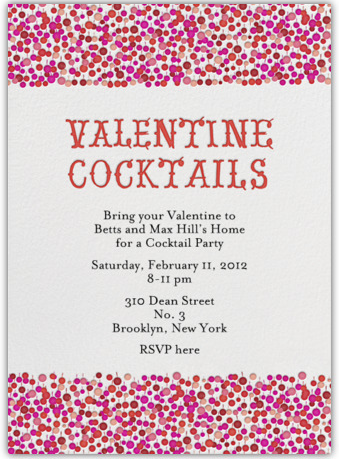 I just used Paperless Post for a Valentine's brunch with girlfriends. Loved their choices! Yes, love !! 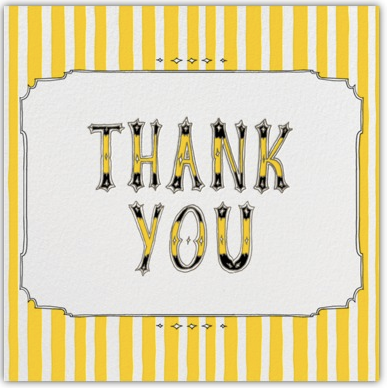 I've used PP for several parties now and the invites got rave reviews from my guests!! Where have I been? Just crawled out from my rock! PP is very cool for invites on the run. 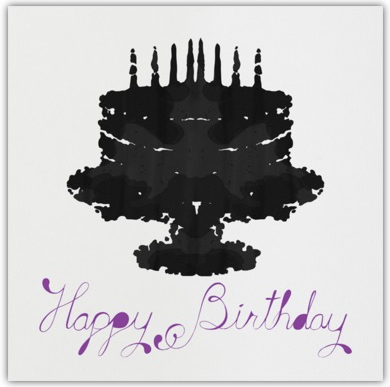 Still, after I slave all day to put on a great get-together, nothing beats a posted card!